Great recruiters live on the ‘edge’. Today’s recruiter is never ‘done‘. You are never ‘trained’, ‘expert’, or ‘finished with learning’. It’s constant renewal, up-skilling and starting again. That is your challenge from today on. I like the concept of ‘living on the edge’ because it suggests being alert, being dexterous, being nimble. I encourage you to adopt as your mantra, from today, that you will live on the ‘edge‘. 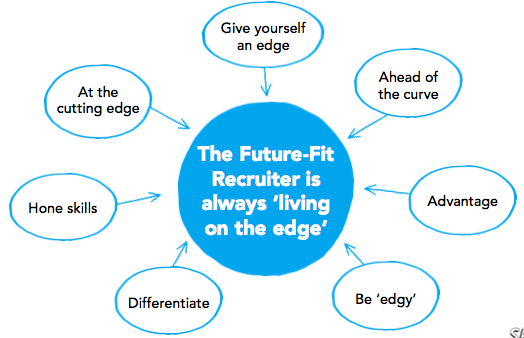 The word edge means ‘sharp’, and that is what modern recruiters must be, if they are to be ‘future-fit’. Which makes it hard for many of us who are very set in our ways. That needs to change. 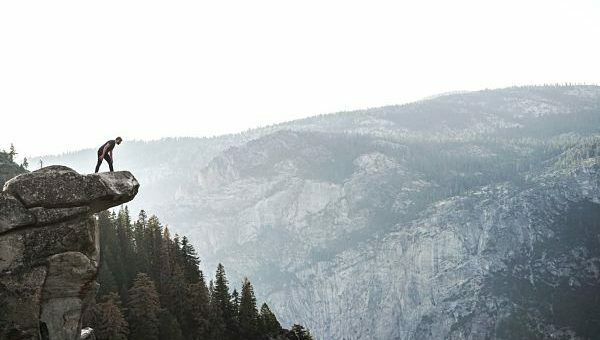 Think about yourself when I describe a recruiter ‘on the edge’. Is this you? Or is this the opposite of you? On the cutting edge, in touch with new tools, always learning, and sharpening your ability all the time. Understands that to succeed you need an edge on competitors, but also on clients, and new technologies. You have to know more than your clients about talent acquisition. More than your competitors. More then the next generation of recruiters breathing down your neck. Knows 5% more than anyone else in the room – about your specialty..talent acquisition. Moves first. Does not follow behind. Is an experimenter. Try’s things. Self-disrupts. Indeed, a great recruiters ‘stays paranoid’. always on the look out for some new threat, never fully comfortable. Sharpens skills, always improving. Never satisfied with what you ‘know’. 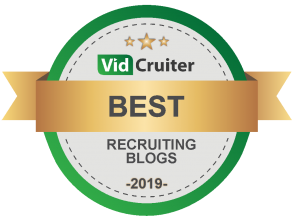 Past success as a recruiter is no longer a reliable indicator of future success. Think about that please. You cannot rely on your track record. Your history. The more experienced you are, the more danger you are in. Track record is your Achilles heel. South Africa for Recruiters and Consultants. 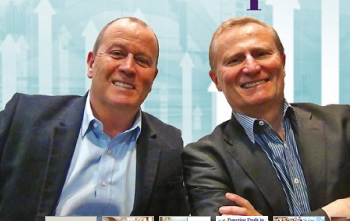 South Africa for Owners and Managers. UK for Recruiters and Consultants. UK for Owners and Managers. 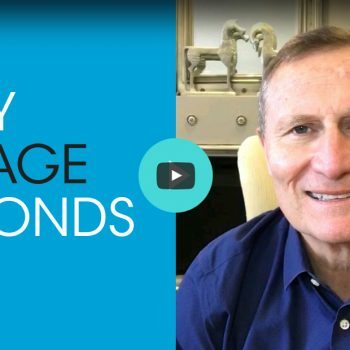 Sixty Savage Seconds - If you have to discount fees, remember this!